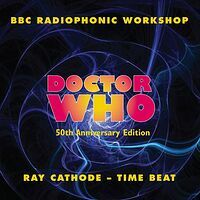 Doctor Who has inspired a surprising number of musical releases over the years — ever since the height of Dalekmania in the mid-60s there have been a steady stream of singles and albums with some connection to the series. At the moment, only the list of CD and cassette releases is 100% complete — for vinyl LPs & singles, the list is approx 75% complete and additional details are gradually being added. Music "inspired by" the programme — which generally means novelty records. The most well-known example would be Doctorin' The Tardis which was a UK number 1 hit single back in 1988. In the same vein, Who is Dr Who is highly recommended, being a CD compilation of many such novelty singles from the 1960s & early 1970s.